A helpful artical on how to choose your wedding photographer. How to choose your wedding photographer point 1 ! Budget enough. Wedding photography can be more expensive than you think – and it’s worth it, I promise! Generally, you should allow around 10-15% of the overall budget to go towards photography. Price doesn’t always equate to quality, as talented people may just be starting out and looking to build a portfolio, but generally people underestimate the cost of wedding photography. Obviously, the amount of money you have to spend on your photography is dependent on loads of factors, so if you simply can’t afford it but have fallen in love with a photographer who’s out of your price range, see if they would fancy doing a bespoke package for you. Note, this doesn’t mean they’d be negotiating their rate for you – nor should they – but just that they could maybe offer you a half day rather a full day as advertised on their website. Remember, all the other details you will spend money on won’t even be half as easy to recall without a decent wedding photographer, and the photos are the marking of the start of a new life – they’re investments. How to choose your wedding photographer point 2! It’s obvious, but it’s key: find someone who’s style of photos you love. 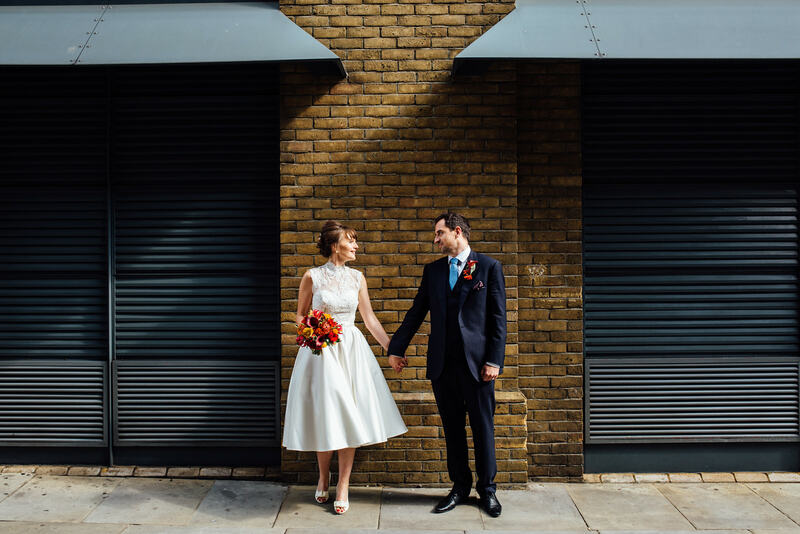 There’s nothing better than looking back at your photos and being totally transported back to the time and what it felt like, and that’s because – on top of your hard work planning – you totally nailed the photographer. Conversely, there’s nothing worse – for you or the photographer – than booking someone and then asking them to do something totally different to their style, as they won’t feel comfortable or happy with it and those gorgeous radiant emotions just won’t be there. There are lots of different styles of photography: mine is a mixture of documentary reportage, where I follow and capture events as they unfold, mixed with some creative, natural-looking portraits and details, but other photographers shoot in a more traditional way, like the kind of photos your parents probably had. (Take a more in-depth look at the natural documentary style here). Make sure you pick a photographer with a style that’s the same as how you envisage your day looking. How to choose your wedding photographer point 3! Similarly, but not relatedly, find someone who you love. I know what you’re thinking – isn’t this why you’re getting married in the first place? But no, I’m talking about photographers. You’ll spend so much time with them on the day, even more potentially than with your own partner, that it’s important you get along with them. You can’t choose your family, but you can choose your wedding photographer, and by the end of the day they can genuinely feel like family. Being told by couples both that having me there on the day was like having a friend there and, counter-intuitively, that they didn’t even notice I was there snapping away are both such high honours to receive, as it means they were truly comfortable around me. Remember, your wedding photographer will be privy to and responsible for immortalising the most intimate and important moments of the day, so you need someone who you get on with and enjoy their company. Engagement shoots (which I’ve written a guide for here) are a great way of breaking the ice with a photographer and getting to know how they work, and how you work with each other. How to choose your wedding photographer point 4! Ask for portfolios of their work. If you like what you can see so far, that’s great, but don’t be afraid to ask for further work that’s more similar to what you’re planning. If you’re having a festival wedding, for example, ask to see some full albums of outside weddings or tepee weddings. 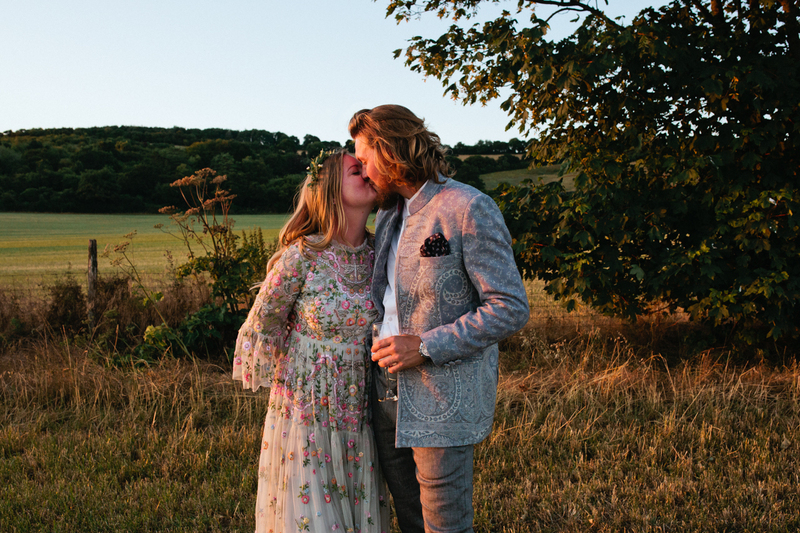 Instagram and facebook pages are great ways to get a feel of someone’s style, but these feeds are full of hand selected best moments – ask for full galleries from couples to see how they’d document all of the moments, from start to finish. How to choose your wedding photographer point 5! How to choose your wedding photographer point 6! Check that they’ve got what they need. You’re all ready to go – but are they? Make sure they’ve got the right insurance and equipment as well as the requisite talents (and the key, and the secret). Ask the pertinent questions – what happens if they are ill? Do they have back-up plans in place? No photographer worth their salt will shy away from these questions – and if they do, get the hell outta there – because it’s standard business practice. Make sure you sign a contract, too – it’s scary to think about something going south and never getting your wedding photos, but that fear is exactly why you have to act to prevent it. Again, this shouldn’t be a scary act, just a bit of a scary thought – any photographer who’s worth trusting with your wedding will have the contract ready and waiting. Articule on Documentary Wedding Photography Wedding Planning Guide Book Your Wedding Photography Now!